Sony Ericsson unveils the new Xperia mini and Xperia mini pro, the latest additions to its Xperia family. Building on the success of the original mini series, these innovative smartphones come packed full of features, powered by a 1GHz Qualcomm Snapdragon processor, and run Android Gingerbread 2.3 OS with Sony Ericsson’s custom four-corner Android UI & Timescape. Beautifully designed, Xperia mini and Xperia mini pro both integrate best-in-class imaging and display technology from Sony, including Reality Display with Mobile BRAVIA Engine. The two Minis features the same 5 megapixel snapper with LED flash at the back. Plus, their cameras are capable of shooting 720p HD video. 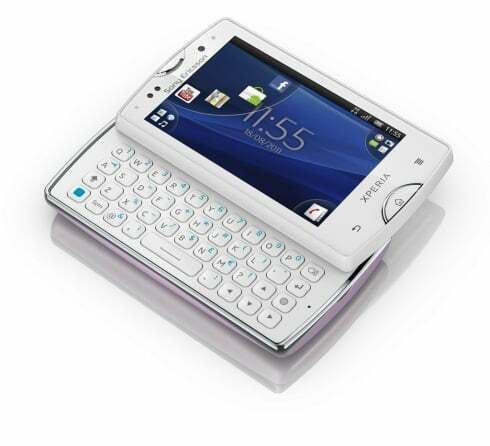 Xperia mini pro brings the optimized slide-out keyboard with smart functionality first seen on the Xperia pro to a compact smartphone. A subtle but fast Type & Send functionality eliminates the need to open a dedicated app for each type of message, and Smart Keyboard triggers predictive messaging actions automatically when the user slides out the keyboard. Xperia mini pro also comes pre-loaded with Office Suite and McAfee antivirus software, letting consumers manage documents and e-mails instantly and securely while on the move. LED-backlit LCD, 320 x 480 pixels, 3.0 inches capacitive touchscreen, 16M colors. Sony xLOUD engine audio filter technology. 5 MP Auto focus camera, 2592×1944 pixels, LED flash & a Front-facing VGA camera. Sony Ericsson Xperia mini pro and Xperia mini with HD will be available globally in selected markets from Q3. Sony Ericsson also unveilsa new integration, Facebook inside Xperia, which will be included in the new Xperia mini and Xperia mini pro and soon to be available across the wider Xperia™ range. Facebook inside Xperia integrates social connections throughout the phone, by making Facebook immediately accessible from the most used areas of the phone such as the picture gallery, music player, phonebook and calendar. As people are becoming increasingly reliant on their smartphones for instant communication, Sony Ericsson is enabling people to ‘like’, share and comment more easily than ever before with Facebook inside Xperia. what the hell TT ? Why putting so much restriction on postting a link. Very bad this way misconception can never be cleared. buddy sorry for the trouble we are not doing it our system is reviewing it and doing the same.